Massachusetts Democratic candidate for governor Jay Gonzalez. Under pressure to deliver new revenues for promised education and transportation investments, Massachusetts Democratic gubernatorial candidate Jay Gonzalez is proposing a 1.6 percent tax on certain private higher education endowments, which he estimates would generate $1 billion. Gonzalez plans to travel to Tuesday to Cambridge, where Harvard University and its $36 billion endowment is based, to formally offer his plan outside an MBTA station that serves the campus and city. Governor Charlie Baker, his Republican opponent, has jabbed at Democrats this year with warnings that they would raise taxes while he would not, although Baker never took a pro or con position on an income surtax on the wealthy, or households with annual incomes above $1 million. "Our colleges and universities are clear drivers or the Massachusetts economy. Undercutting their ability to attract talent, to provide financial aid for students across the state, and to conduct breakthrough research is simply irresponsible," AICUM President Richard Doherty said in a statement Tuesday. "This was a bad idea when Republicans in Washington proposed it, and it is an even worse idea now." Cambridge Mayor Marc McGovern will join Gonzalez at the Harvard Square MBTA Station at 11 a.m. to announce the plan. Officials and residents in three eastern Massachusetts communities spent the weekend dealing with cleanup and recovery after natural gas problems triggered fires and explosions. Massachusetts Governor Charlie Baker and his Democratic opponent, Jay Gonzalez, will not debate in western Massachusetts this election season. 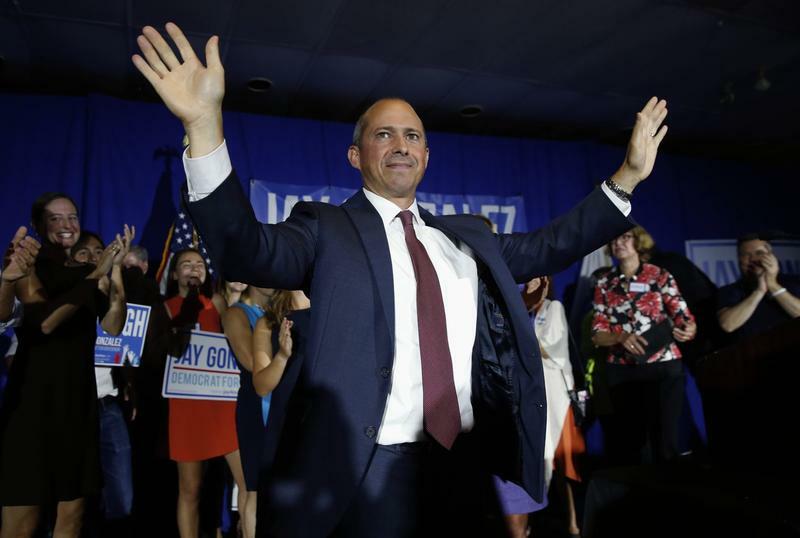 Democratic gubernatorial candidate Jay Gonzalez has won his party’s nomination, and will face off against Republican Gov. Charlie Baker, who handily beat far-right primary challenger Scott Lively on Tuesday. Gonzalez, a former Gov. Deval Patrick budget chief, topped environmentalist Bob Massie in a campaign in which both candidates talked up their progressive credentials and vision but struggled for name recognition, even among Democrats.